Adhering to qualitative service since 1988, Aristocrat Caterers, Events and Decorators have gradually clawed their way up a tall mountain of business ordeals to reach the present day pinnacle. Needless to say, every business venture depends substantially on the ability to impress and sustain customers. With catering paraphernalia par excellence, state-of-the-art decorating facilities and a sweet & confectionary outlet up their sleeves, Aristocrat Caterers are devoted to putting a smile across their already wide, yet growing list of acclaimed clientele. 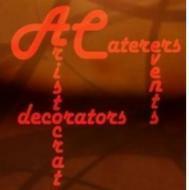 Aristrocrat Caterers conducts classes in Caterers. It is located in Kalkaji, Delhi. It takes Regular Classes- at the Institute.